Q: Does every home need staging to sell? A: Almost every home, condo or apartment can benefit from staging, no matter what the size, even if it is well-decorated and maintained. Why? The way we live in our homes is very different from how we need to market them and make them appeal to buyers. Most interiors, even if professionally decorated, fit a specific taste, since we all tend to personalize our spaces quickly. The goal of staging is to create a mood that buyers emotionally respond to. To accomplish that, homes need to be cleaned, de-cluttered, de-personalized, and updated to reflect current trends using low-cost items like slipcovers, pillows, cushions, new accessories, perhaps new lighting, and cabinet hardware. Q: Don’t vacant homes sell fine without professional staging? A: Actually, no. Vacant homes can look sterile and “cold”; many buyers can’t figure out where the furniture will go, how to deal with awkward angles or shapes, or what to do with rooms that are “too large” as well as “too small.” Staging works to resolve furniture placement issues to highlight the best features of a room and downplay the problems. Staging also resolves any questions about how a room should be used. Q: How much does staging really help sell homes? A: According to stagedhomes.com, 95.6 % of ASP-staged homes sell on average in 37 days vs. 212 days for non-staged homes. RESA, the Real Estate Staging Association, surveyed 39 homes that were listed un-staged and spent an average of 233 days on market. After they were staged, they sold in an average of 53 days. That's 78% less time on the market! Of course, there’s no guarantee that a staged home will sell faster or for more money, since current market conditions, price and your agent’s marketing all determine the final outcome. But ensuring your home presents as well as possible will enhance curb appeal and increase the odds that buyers will make offers on it. Q: That’s all well and good, but what are YOUR stats for northern NJ for staging and selling? A: For 2014, the average days on market until accepted offer on my staged homes was 15.3 days, and the average sales price was 94.6% of list price. Q: Should I stage my home before I try to sell it, or wait and see what responses I get from potential buyers first? Q: So is it too late to stage if my home has been sitting on the market for months? Q: Can’t most people see past the stuff in my house or the way I’ve chosen to decorate it and visualize it as their own? A: Unfortunately, no; studies show that only 10% of buyers have the vision to see things as they could be, instead of how they are. The majority of buyers will start subtracting dollars off the price they’re willing to pay for your home when they see even cosmetic issues that they don’t like. If they see even minor maintenance/repair problems or an out-dated appearance, their offer price may drop further. Buyers today have higher expectations than they did years ago. We are all used to seeing beautiful homes on TV, or model homes in person. Thanks to HGTV in particular, more of us are aware of the latest decorating and design trends as well and are emotionally swayed - positively or negatively -- by appearances. Q: Will I need to buy or rent a lot of accessories or furniture to make my home’s interior look great for selling? A: The answer is generally no, unless your home is sparsely furnished or vacant. Even if the furniture is in poor shape or outdated, slipcovers, throws, and pillows are excellent and inexpensive solutions that often work to disguise those problems. I generally provide everything needed for stagings, except for rugs and bedding in occupied homes, but I can shop for you or recommend what to buy if you don’t have what’s needed. I generally place about 25-50 accessories in most 3-4 bedroom homes that I stage, but I also try to work with a homeowner’s belongings as much as possible. Sometimes, I might recommend that homeowners invest in buying or renting a new piece of furniture to better fit the size of the room or to make it look larger or more up-to-date, to replace something that is shabby, or possibly to fill in an empty space. In vacant homes, I shop for and arrange for the rental furniture (or purchases, if you prefer). Furniture rental prices start at around $600 for 3 rooms for one month, with a 3-month minimum rental period. Staging 3 rooms with accessories for 3 months starts at around an additional $1,100. A consultation for an occupied (non-vacant) property costs $225 for 1.5 to 2 hours. I visit your home to advise you on how to improve the way it shows for selling (both on-line in photos and in-person to buyers) and then provide a room by room form with my Staging Recommendations for YOUR home and my Top 5 priority suggestions. I will advise you on the changes that need to be made to get your home in it best selling condition: what and how to de-clutter, including bookshelves, media cabinets, closets, laundry areas, and basements; specific cleaning issues; painting and color choices; furniture re-arranging or removal; what needs to be neutralized, de-personalized, and updated to help your home sell; and recommendations on any new items you might need to purchase or rent to make your property more competitive. A consultation with a full written report/checklist. I offer the same advice as above, but I also provide a detailed report prioritizing everything that needs to be done, from exterior curb appeal to a room-by-room description of any improvements that need to be made. 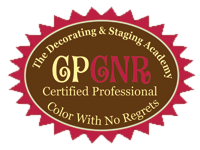 If you have an occupied house that requires staging, I will provide an estimate after my consultation in Step 1 above. If you have a vacant property that needs staging, I will provide an estimate based on the number of rooms requiring staging with rental furniture (typically main rooms like living room, dining room, kitchen, and master bedrooms, plus additional rooms if necessary). My estimate includes the cost of both furniture rental and my own staging fee -- which includes accessories such as bedding, towels, rugs, lamps, art, and all decorative items. As part of my service, I provide photos taken by a professional photographer following the staging that you can use on-line or for your own marketing/personal use.